The first videos I ever made were for the grassroots drifting organization Club Loose. My boyfriend, an engineer by weekday and photographer and driver by weekend, told me to make myself useful and start making drift videos. But at 17, I was a mopey little girl who was just at the track to support my boyfriend. At the time, there was NOTHING FUN about drifting and nothing fun about making lame videos. But I made a video anyway and my boyfriend was just as surprised as I was when it actually turned out good. That's when I discovered that I loved filmmaking and drifting (especially when I started filming from inside the car). Since I am currently knee deep in post production for another drift video as well as two other short narrative films (I swear, I will share them all soon! ), here are a few photos I took on my Nikon FG. This camera was the first film camera I ever used and it has taught me the fundamentals of shooting both still and video work. A couple of these drivers and media guys will be in the new drift video, so remember their faces! ... Also, please don't drink and drive golf carts. I may be stationary as I sit in front of my ancient laptop to watch the rough cut of my first big short film, but the past year has taught me that I’m always moving forward — even when I feel stuck. Watching “Uncovering Eden” as it slowly comes to life marks a new beginning for me as an independent filmmaker. I can look back at all of the mistakes I’ve made along the way and cringe, but I know they were a big part of the learning process. In the end, they’ll make me better at what I do. When I graduated from college, I was determined to hit the ground running by embarking on a film that was bigger and better than anything else I’d completed before. Sure, I didn’t know what it would be about, but I’d get to that. But it didn’t happen right away, and I couldn’t help but feel that I’d done something wrong — especially when I fell into the trap of comparing myself to my old classmates. I admit I forgot why I wanted to make movies in the first place. The summer came and went, and by October, I was calling my sister to vent that I was a failure. She disagreed, so I told the dog. He tends not to argue. Fortunately, I realized I was being nuts, stopped trying to force creativity and just savored the journey. It wasn’t so bad. My buddy, Tim, and I decided to motivate each other to write scripts and enter a screenwriting competition. With a deadline looming, I had a goal. I was suddenly able to focus and enjoy filmmaking again. I came up with the idea for a short script based loosely on some of the bullying I endured in high school. At first, I was afraid to write it. Then, I realized the fear probably was a sign that I needed to write it. By the deadline, I was proud of my work and thought maybe I’d have a shot at making my film with the prize money. Truth be told, I don’t think my script was ready yet, but I didn’t abandon it and kept reworking. By March, I felt like my script was finally “film ready.” The problem? How the hell I was supposed to make it? Freelancing in New York City helped me meet people who would show me the ropes of making a film without free access to a college equipment room. Unfortunately, they said I needed $15,000 to do it. I didn’t believe them. If you get the right talent and a few pieces of great equipment, you don’t need a lot of funding to complete your film. If anything, you just have to be more creative. I was ready for that. But I needed the money. Not quite $15,000, but more than I had in my bank account. I needed to rent gear and pay for production. I eventually came to the conclusion that Kickstarter was the way to go. And it was the scariest, most stressful thing I have ever experienced. When it came time to cast my characters, I realized it would be wonderful to cast actual high school students in some of the roles, so I headed to my old school to crash an after school play rehearsal. Fortunately, I was neither kicked out nor arrested — both of which probably could have happened since I don’t think I can pass for 16 anymore. Not only was my old drama teacher, Mrs. Everette, surprised to see me, but she was excited about what I was doing and gave me the floor to talk to the group of teenage thespians. I stared down at them as they slouched into the ancient metal chairs while they gaped up at me with their mouths open in what I assumed was boredom. When I finished my spiel, I was met with silence. Trying to keep from blushing like the uncool kid I was in high school, I tentatively asked if any of them would like to audition. Suddenly, their mouths closed and their hands shot up into the air. They all started talking at once, and I pretty much felt like the coolest alum ever. Mrs. Everette helped me get control over the room again, like a leader of an army, and I proceeded to post a sign-up sheet outside of the auditorium. A few weeks later, I conducted auditions. Some of the students mimed as if they were on stage, while others were complete naturals on camera. There were a few students I thought might cry, but everything went pretty smoothly — minus the funny echo, the show-off drummer off to the side and a couple of breakdancers in the hallway. But, we found great teen actors to join the others that I’d cast from New York and Philadelphia. It couldn’t have turned out better. Kickstarter projects get a set amount of time to collect funds from backers — usually 30 days. But because of scheduling conflicts, I had to set Uncovering Eden’s kickstarter page for three weeks. If we didn’t meet our funding goal of $8,000, Kickstarter wouldn’t allow us to collect any of the money backers had promised. I worked on my Kickstarter campaign for two months before its launch. For the three weeks that it was tallying dollars, I couldn’t go a full hour without checking it and trying to find ways to promote it. I was handing out fliers, updating Facebook and Twitter, calling local establishments, and contacting community centers and organizations. Two weeks in, I was convinced I wasn’t going to reach my goal, and that Uncovering Eden would leave the experience empty-handed. Miraculously, we made more than $9,200. With my dream team cast and crew by my side, I directed the first film that I felt represented me. My team is still in post-production. We missed our original completion date, but I can’t dwell on that. I will expect more hiccups along the way, and I’m OK with that. But I know without a doubt, that in 2014, I will have made a film that will start my journey as the filmmaker I want to be. Day 4 of Filming Uncovering Eden - That's A Wrap! Everyone arrived at the Clark Household around 8:30am to unload equipment and set up our first scene of the day. Thankfully we would be in one location for the duration filming. Since I practically grew up at the Clark’s house to hang out with their son, Ricky, alongside Kevin – the wildcard of the crew – I knew this would be fun. In fact, Kevin and I planned to feed everyone with a barbeque halfway through the day. Who doesn’t like making movies and barbequing? Exactly. Our first shot was set up in a small bedroom, which would serve as Edie’s Grandmother’s room. When I say it was small… I mean really small. Our crew could barely fit a 6x6 bounce and still maneuver actors and our cinematographer, Jason, to get our shot. Yet, the room looked right for the film and we made it work like the resourceful indie filmmakers that we all are. After we wrapped the bedroom, I had to get my scene break down chart – oh, how I love spread sheets now – from the car and immediately ran into our marketing specialist, Toro, who ended up giving the cast and crew lovely goodie bags with ‘Uncovering Eden’ painted on each canvas. It was looking to be a good day, but I was a bit behind schedule and needed to keep moving. Day 4 of filming only involved characters Edie and Gran, so for my next scene I had Victoria Pedretti and April Woodall staged in the dining area. In this scene, Edie’s grandmother is telling Edie a little bit about her family. It’s an intimate moment and I wanted the audience to feel like they were stepping into the scene or as if something was being revealed. Camera movement is just as much a part of the story telling as the script, the acting and the editing. That said, I had Jason set up the slider to bring the shot – the audience – into the room with our characters. We then took a number of medium and close up range shots. The effect will add dimension to both the scene and our final edit. Next we filmed in the living room, where we see Edie working on some homework on the couch. Edie’s grandmother is heard speaking from the other room until she comes into frame. We did a few focus pull shots on Gran and proceeded to film a few medium shots with the 32mm lens. Did I mention that we were filming with Cooke S4 lenses? They make everything look gorgeous. Our next set up took place in the kitchen and the scene we were about to film would perhaps be one of the most important in the entire script. Jason initially lit the kitchen with some beautiful soft light, but though it was lovely, it wasn’t dark enough for the mood we needed to create. In this scene an argument takes place and it is the only moment in the script with real straightforward, back-and-forth dialogue. It’s the catalyst moment of the entire story of ‘Uncovering Eden’ and I knew bright and happy lighting wouldn’t cut it. Jason, being the lighting genius that he is, used some negative fill and created the atmosphere we needed. He would later tell me that one of the best directions I gave him, as a director, was to “go darker”. I also wanted some refrigerator glow for when Edie opened the door, but the light inside the fridge wasn’t bright enough. Kevin had the brilliant idea to stick one of our LED Light Panels in the fridge - it worked wonders. Our final scenes of filming would be emotionally draining for Victoria because of the kind of performance involved. I had Jason film from a lot of interesting angles and Ryan and Erik – our awesome sound guys – were more like ninjas with the boom pole. The last shot of the day was bitter sweet for me… I felt like I must have missed a scene or there had to be something else I needed to do right away. The whirlwind since the success of my Kickstarter campaign in July to getting to direct the film I wrote all the way back in January, felt unreal. I was numb, sad and elated all at once. When we finally wrapped, everyone went outside to the Clark’s deck and Kevin attached a contour camera to one of the bottles of champagne he bought for the occasion - hilarity ensued. I discovered that I am terrible at opening champagne bottles and the Clark’s dog, Daisy, is the cutest menace I’ve ever encountered – there’s a ridiculous photo of her biting at Ryan’s ankle in the group photo of the crew. Day 4 was a success and I couldn’t be more thankful for all of the amazing people who worked on this film with me and for the backers who contributed to our project. I had a blast filming ‘Uncovering Eden’ and it solidified even more that directing is my calling and it is what I want to do for the rest of my life. Remember to check out the Facebook Page and Twitter for more behind the scenes info! Cast and crew had to be at the Blue Fountain Diner on August 10th at 3:00am for filming. I had picked up our cinematographer, Jason Krangel, and actor, Marrick Smith at the train station the night before. When I arrived with actress Victoria Pedretti on set, crewmembers were parked around the parking lot. Erik Kristiansen was sleeping in his car, Chaz Boyd couldn’t have looked grumpier and Ryan Hansen was ready to work. As soon as Kevin Johnsrud and Jason showed up, we began moving equipment inside the diner. The owner of the Blue Fountain couldn’t have been nicer about letting us film there and she let everyone who was staffed for the evening know we were coming. They were equally as accommodating and let us set up our big lights and bounce boards with no complaints. When I was writing the script for Uncovering Eden, I actually imagined the Blue Fountain Diner. When I was little, my parents took me and my sister to this place and I had continued coming to the Blue Fountain throughout the years. It’s a classic looking diner, with mauve colored booths, big windows and blinds, a counter with a cashier station and cookies. The back of the diner has bar seating and behind the counter is lined with cakes and pies, ready to order. The entire place is lit with small glass chandeliers hung over each booth and it worked wonders for our scene. I never thought that the owner would actually agree to let us film in the diner, so I had arranged other locations. However, when I told Victoria about where we would film in its place, she told me I should at least ask the Blue Fountain – I had shied away from it completely. A few weeks before filming – sometime during my Kickstarter Campaign – I got up the courage to ask the owner, a wonderful woman named Nancy, who not only agreed to let us film there, but also warmly told me about how she let another filmmaker do the same thing. I left feeling like I won a small victory. Once I began blocking out the scene for Marrick and Victoria as Darren and Edie, things began to run according to plan. The only real hiccup was a woman who stopped by the counter to talk to the manager for 10 minutes and whose voice carried very loudly. With a little encouragement from Jason, I politely asked her if she could quiet down just for a few minutes so we could begin filming our scene. We began with Edie and Darren’s entrance into the diner, hanging out past curfew. This is the moment in the story that Edie has picked a side and not necessarily for the better – but that’s all I will say for now. We were filming for about 2 hours – setting up the lights was very time consuming. When we wrapped the scene, all of our cast and crew naturally got breakfast at the diner before heading to our second location. A good friend of Kevin and mine, George Daniello, let us film outside of his house for the scene in front of ‘Darren’s house’. We were there for about an hour and a half and got some amazing shots. I’m a big fan of handheld camera work because I think it has the potential to create tension in a story. Of course, when this is overused, I get annoyed, but Jason made it work. … And then chased me down the street with the sparklers. I think he may have attempted to light my hair on fire. After we all parted ways, everyone slept until we had to meet up to film at 6:00pm for another scene in which Edie runs down a street. For the lighting, Kevin and Jason rigged what looked like a Toyota pirate ship out of two LED light panels and a giant bounce board covered with unbleached muslin. Jason would film out of the back of the SUV’s trunk… but to anyone else, we just looked like a glowing pirate ship in the night. The neighbors down the street thought it was fantastic. Poor Victoria got quite a workout from all of her running, but even she thought this scene was a lot of fun to film. Day 4 would thankfully be in one location and a lot easier to film. At 5:00am I woke up with butterflies in my stomach. I knew that this was the biggest day of filming because of how many people would be involved in the shoot. Thankfully my Assistant Director, Toro Adeyemi, showed up at the apartment at 12:30am to help me the following day… and to rag on me in any way possible because she’s my close friend and I lived with her for 3 horrible years. We arrived at a local private school and was let in by an amazing employee, coincidently named Darren, who stayed with us all day as we worked with about 20 or so extras plus our cast and crew. The first scene we shot was in the hallway of the school lined with blue lockers and amidst fellow students. I kept my ensemble cast in a holding room until I was ready to bring them to set to start choreographing them. Once I blocked out my lead actors, Victoria, Marrick, David and Julia, I had my AD bring down groups of students at a time. In order to make this work, I needed to make sure that everyone knew where they were going to end up: some starting down the hall and walking to a classroom, others grabbing books by their lockers and mingling with classmates. After my cinematographer, Jason, and I framed up the shot, piecing together how the ensemble would interact with others came together with a few run-throughs. We had two hallway scenes to work out, one that is early on in the story and another leading up to the climax. The second hallway scene actually leads into another shot in a classroom. With the jib, Jason and I were able to connect these two scenes with some amazing movement. I think our entire crew would agree that the shot where we follow Edie from the door all the way to her seat is pretty amazing, visually. After that, we headed to a small library on location where we see Edie interacting with June, Chad and Darren. We also get to see how mean June is to other students… for a 16-year-old, Julia Sismour blew me away with her acting ability. She is completely captivating to watch and plays to June’s cruel nature. The way that David Laws plays Chad is equally impressive. Chad is June’s right hand man and needed to be very loud in character with not many lines. I chose David because he is excellent at adding little touches to his characters to bring them to life… in this case, his body language and the presence of a hair comb as his prop is pretty fascinating to watch… Trust me, you will understand when you see the film. Marrick and Victoria’s on-screen chemistry felt so real that some of our crew couldn’t figure out if they were rehearsing or flirting with each other. Either way, they looked great on camera, even for some of our darkest scenes. Both Victoria and Marrick are actors who ask many questions about their characters in order to truly become them. Victoria is wonderful at putting herself emotionally into a scene and channeling inner struggle. I am very glad that I chose them to play these roles. Our last scene of the day was on a school’s unused baseball field. Originally we were going to have this scene on some school bleachers, but couldn’t get permission to use any. If there is one thing I’ve learned about filmmaking, it’s always to have a Plan B. In this case, the baseball field actually worked out better visually and we were all very happy at how it turned out. I find that as a filmmaker, I can’t always get the perfect location, but there is always a way to make it work. In fact, I didn’t have a location for the school until a week or so before we needed to film. I had contacted about 15-20 schools and people either didn’t get back to me, said no, or it was too expensive to use. …Remember, there is always a way to make a scene work! That said, I can’t wait for this weekend to film the rest of my story and I will be posting more behind the scenes photos on our Facebook Page and Twitter. On Saturday, August 3rd, I drove to the train station to pick up Uncovering Eden’s cinematographer, Jason Krangel, and cast members Marrick Smith and David Laws. I had been waiting for about five minutes when suddenly I heard a bang on the hood of my car and loud laughter coming from my aforementioned actors. They clearly had the uncontrollable need to scare the wits out of me… Clowns. They bonded almost instantly and I felt a sense of pride for picking everyone involved in this project. The one rule that I follow when making a film is ‘always choose people that work well together’. Having a good vibe on set with a small crew is paramount in creating a successful project. Once all the cars were loaded with our camera and lighting equipment and the actors were prepped, we headed out to our first location: a small, privately owned grocery store named Centre Fruit Gourmet. In all honesty, I think the owner allowed us to film there not just because he is ridiculously nice, but because my dad regularly buys their eggplant salad on a weekly basis. Setting up our gear and establishing our lights was a breeze, courtesy of Jason and Mike, and we were ready to film within half an hour. This was the first time that the cast worked together in front of the camera and it is literally the only scene that they would all be in. Whatever worries I had were quickly diminished as soon as I called ‘action’. It was like I wasn’t looking at Victoria, Marrick, Julia, David and April… I was watching Edie, Darren, June, Chad and Edie’s Grandmother in the grocery aisle… the scene that took place felt real to me in a way that I only imagined while writing the script. Seeing it on the little monitor of the RED Camera and even just watching them all interact was a director’s dream come true. In this scene, the cool kids interact with Edie, while her grandmother is blissfully unaware. Darren, played by Marrick, is starry eyed as he says hello to Edie, bumping into the aisle as he passes, while June, played by Julia, cattily assesses the situation. Chad, David’s character, delivers the blow that hurt’s Edie’s feelings. All in all, everyone took direction well and brought this scene to life. After a much needed lunch break of beer and pizza, (for everyone except Victoria and Julia who are 18 and 16 years old), we headed out to a public park for magic hour. The scene we shot was with everyone having fun with some sparklers… I don’t want to give too much away, but this scene is juxtaposed with a very climactic moment later in the film. We ended up using the Jib for most of these shots and Mike and Kevin kept running back and forth between the actors so they always had a lit sparkler… it was extremely chaotic and a huge amount of fun! …Who then decided we could have a few more minutes because they thought it was very cool that we were making a movie and even asked if they could be in it. HA! 15 minutes later, we were told we had to leave because if police caught us there after dark, we would be slapped with a hefty fine. The patrol explained we actually needed a permit to film in the park… cough cough… and were nice enough to stick around until we left so we wouldn’t get in trouble. I couldn’t have asked for a smoother first day of filming and I can’t believe how nice people were to my cast and crew. … Day 2 was even better. Check out more photos and behind the scene material on our Facebook Page and Twitter. Why the Short Film ‘Uncovering Eden’ Needs to be Made. Everyone, all over the world, has seen or been bullied at some point in their life. Bullies make us question ourselves and think less of the things that make us different. However, it is these very differences that make us unique and beautiful individuals. We should not shun our diversity, but embrace it because it is this diversity that gives us our self-identity. Without it, who would we be? 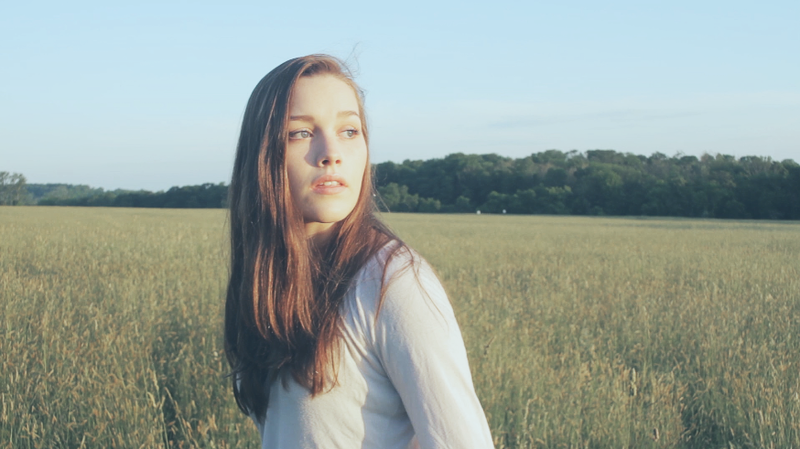 The short film ‘Uncovering Eden’ is a coming-of-age drama about self-identity and anti-bulling. The story follows 16-year-old Edie as she just begins to grow into herself in one of the most challenging environments of her life so far: high school. Bullies and cliques are the cost of high school royalty and it embodies almost every social struggle imaginable. It is not a surprise that the greatest battle young adults face today with bullies is in high school. Yet, not many films address the consequences of bullying, let alone why it happens. As it stands, most films that are truly about bullying are documentaries. 2011’s ‘Bully’ about bulling in U.S. schools is probably one of the few films to document the true consequences of bullying and became a worldwide campaign. But why does bullying occur? When I was writing the screenplay for ‘Uncovering Eden’, I thought about this a great deal. Therefore ‘Uncovering Eden’ addresses the generational and cultural differences that have inspired such behavior. The character, Darren, who is the object of Edie’s affectation, not only participates in some of the bullying that goes on but is also bullied, himself. He experiences peer pressure from his friends and intimidation from his Father, someone who is not only from an older generation, but a patriarchal figure to him. ‘Uncovering Eden’ is a film that tells a short story with a much wider picture. The internal struggle that Edie faces results in consequences with her relationship with her grandmother. Yet, despite everything that she does and strives to be, she will never be a member of the crowd that she so hopes to be a part of: Edie is too different from them. ‘Uncovering Eden’ is a short film that needs to be made because it addresses the nature and consequences of bullying. This short film sends the message that being yourself and not allowing others to dictate who you are, is worth everything. Please make a pledge to this short film’s Kickstarter Project! You can donate ANY amount that you want, no matter how big or small… Anything helps and we need your help in order to make this film become a reality! … You can also get awesome rewards including an HD Digital Copy of the final film, a DVD with special behind-the-scenes footage, a signed copy of the production script and even posters!! ‘Uncovering Eden’ is a short film that needs to be made!! Follow us out on Facebook or Twitter to be a part of this film! @UncoveringEden or @ChelseaLupkin for more details. I had a story to tell and I turned it into a screenplay. Between sending it to friends, family and fellow writers for feedback and criticism, I’ve written something that I am proud of and want to share it with the world: a wide audience. It was hard enough finding my voice as a writer, but now I’m faced with the bigger struggle of bringing my film to life. The first step I took was to contact some talented friends and people I’ve worked with to play various roles on my production team. I felt like a glorified salesman and less like an artist, but the joy at finding that people wanted to be a part of my project negated those feelings. When other people are passionate about my work, I feel like a winner. I don’t exactly know what I’ve won, but I feel like one nonetheless. But lately, I’ve felt like I’m running a marathon with no end in sight. This is probably because I’m playing the roles of writer, producer, director, marketing agent, casting director, and production coordinator. Oh, wait… That’s just an independent filmmaker. The kind of prep work alone that goes into the pre-production process is a bear. I managed to secure 75% of my shooting locations and I am holding an audition for high school students this Wednesday (which I will certainly be posting about). I have a few crewmembers working on equipment costs for the shoot and I’ve been working on the budget for weeks. Did I mention that I am preparing a kickstarter for this project? To be an independent filmmaker, I’ve had to learn how to balance art with business. It’s a learning process, and even if I fail this time around, I’ve learned A LOT… Regardless, let’s hope I don’t fail. My short film is a coming-of-age drama set against the backdrop of intolerance and bullying. Just because a certain group isn’t targeted on the front page of every news site, doesn’t mean it isn’t present. This is exactly what inspired my short film, “Uncovering Eden”, which follows a young girl named Edie [ee-dee] as she grows up in one of the most challenging environments of her life; high school. Bullies, cliques: the cost of high school royalty. High school embodies almost every social struggle imaginable. But we’ve all been there or will be there. And amidst all of the peer pressure and embarrassing moments, we also discover who we are. But what does that mean for our main character, Edie? I’m Terrified to Release My Short Film Online. 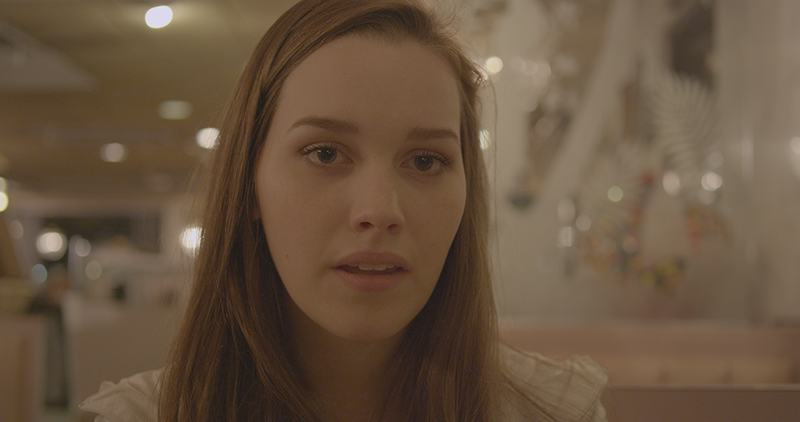 It’s had its festival run, but now I’m itching to release my short film, ‘Flutter’ online. Then again, there are thousands of videos on YouTube and Vimeo that are absolutely wonderful and I’m glad to have been able to see them. As a filmmaker, I learn a great deal from watching these films. There is always something to gain from watching, whether it’s an artist’s experience, more knowledge about film techniques, or just a great watch. Can a filmmaker find success from posting their films online? Yes. Many artists and filmmakers alike have been discovered on the Internet. Most recently, Fede Alvarez has been thrust into the limelight both for being found on YouTube with his short film, ‘Panic Attack’, and for being hand picked by Sam Raimi to direct the remake of his cult classic film, ‘The Evil Dead’. In fact, Alvarez had never directed a horror film or a feature, but Raimi saw enough talent in him to trust him to direct a future blockbuster. Maybe there’s hope for the rest of us small filmmakers? I really hope so. Either way, there are still plenty of other reasons why I’m personally afraid to release my short film online, namely the ‘views’. Viewing counts, total plays, whatever they are called… I think about those stats as a sign of success or failure. Somewhere in the back of my head I am also aware that good or bad promotional tactics affects those numbers. Since I am not an expert in that field, I can only pray for lots and lots of views. Hence, the black and white notion of success or failure. With social media creating a cyber popularity contest, I feel even more pressure about releasing my film on the web. After all, I want people to see my work and like it, but in order to do that; I need to make myself known on the Internet. Easier said than done. For those of you out there with lots of followers on various social platforms, I applaud you. I don’t know HOW you do it. Personally, I want people to follow my work because they support what I do. The tricky thing is getting my work and myself visible enough to achieve this. Yet another struggle an indie filmmaker must face, as if we didn’t just make a film. There are so many things to consider, but the more I think about it, the more I see that perhaps releasing my short film online is a good thing. After all, isn’t the point of making visual art for people to see it? If the Internet is my only future platform for my short, than it’s probably what I should use. Since I also plan on creating a Kickstarter for another short I have written, it may be best for people (perhaps future investors) to see the kind of work I am capable of making. Furthermore, one view online is one more person I can add to my audience. Surely, that can’t be a bad thing? (Unless it’s a critic, but I am prepared to handle that). I’m sure there are many filmmakers who struggle with the dilemma of posting their work online, but I think I may finally understand where I stand with it. So what is my film, ‘Flutter’ about? A non-linear construction of adolescence. Following the lives of three sisters, the film confronts a young girl's first experience with heartbreak. Challenged by the implications of first love and loss, it is up to Kaylin and Olivia to get their sister, Lena through this moment in her life. The bond of sisterhood and growing up are at the forefront of this short film. I plan to release it April 16th via Vimeo and ChelseaLupkin.com. For Goodness’ Sake, Know How to Edit! I fool you not!! - Why Indie Filmmakers will take over the world. Every member of the production team has been there. The phrase, “hurry up and wait” comes to mind. But the word ‘wait’ stands alone. I worked on a big commercial shoot a few years ago where I literally stood for an extra hour and a half because the director thought he should get more coverage than he already had. Trust me, he had enough. A director who takes and takes and takes… and takes the same shot of a scene over and over again from multiple different angles because he thinks that the more coverage he gets will help the editors at the post production house have an easier time of making a brilliant commercial or movie edit is a lot to handle. See this run-on sentence? It’s like that. This is an example of a director who does not know how to edit. As a freelance editor and someone who has many friends who work at post houses, this situation is daunting. Imagine having to look at 25 takes of an actor’s performance only to have to look at 25 more takes of the same performance from another angle (and maybe 25 more for good measure) and finally having to choose which take is the best fit! Sure, an editor’s job is to put the shots together and ultimately tell a story in 30 seconds or 2 hours. And yes, a good director should have as much coverage as possible to ensure that the commercial (or movie) will be a successful campaign and appease the clients and producers. However, there are too many directors out there who go completely overboard and can’t tell when they’ve gotten the golden shot or need more coverage. They cannot tell the difference between overkill and necessity. In my opinion, a good director should know how to edit. A director who can envision the whole picture and decide what shots he/she needs to make a good end product is someone worthy of the role ‘Director’… Notice the capital D.
Time and time again, an editor will have to work with the footage a non-editing-director has shot. That editor has a voyage ahead to produce a final cut. It’s an editing nightmare because that editor has to appease the director, the clients, the production company, producers… you get the idea. Without going into tedious detail of how editing a cut in a post production house works, it’s safe to say that there are a lot of heads to please. That said, working with a director who knows what their end product or final vision in Final Cut Pro or AVID looks like, is someone you want to work with. Presumably, a director’s job is to take an idea and make sure that the rest of the team sees the same vision and translates that vision into a cohesive product. A director must be able to convey what he/she is looking for to the Director of Photography. A director must be able to direct talent to embody a script that he/she may or may not have written. A director has to make sure that the clients, sitting in the “video village”, are happy with the commercial as it is being shot. That said, shouldn’t a director know how to edit? Yes. But, all too often, this is not an actuality. This frustrates me. Some people would argue that a director is supposed to direct and an editor is supposed to edit. Period. However, if all creative people took the time to learn about each other’s craft, everyone would benefit. No one benefits from ignorance. Please note that not all of the directors I have worked under are bad at directing. On the contrary, they are all much more experienced and knowledgeable than I am in their art. I merely would like to suggest that directors should learn how to edit to better their ability to ‘see’ what they need as opposed to prolonging an already long 12-hour production day. For any aspiring filmmakers out there, there is something to be said about being both a director and editor. With the revolution of camera availability, namely DSLR’s, indie filmmakers can produce their art and have a hand in editing. This is fantastic! There is a new generation of directors, writers, and cinematographers who have an understanding of how to achieve the perfect final edit. This understanding makes them better at their craft. What can we all take from this? Power to the Indie Filmmakers! Patience, we will take over the industry soon enough. So you’ve written a script. Congratulations. Now it’s time to face the realities of production, namely your budget or lack thereof. For the longest time I thought that making a quality short film or video would take money to produce, but it turns out that that’s not necessarily true. Did you know that many cinematographers get their big break by making music videos? Usually, music video production is on a very VERY tight budget by industry standards and this forces cinematographers to be… shall we say, crafty? If you can only afford fluorescent bulbs and work lights, you tend to be more creative than someone with a lot of luxury cash for extra coffee with the producers. Production companies and scouts looking for the next big talent notice those who are particularly savvy in this regard. It’s impressive to find directors and cinematographers who can showcase how talented they are without gigantic light setups and full frame cameras. Those people are the triple threats. Strive to be one of them. That said, you can do a lot of amazing things with little or no money in turning your short script into a reality. When I made my short film, Flutter, I had nothing. Zip. Nadda… ok, I had 30 bucks toward prop food and pizza, but that’s still basically nothing. What did I have? - Awesome people who knew what they were doing. I happen to own a Canon 7D (insert Canon endorsement here) and that is a more than adequate camera with the right lenses… perhaps you have friends who will let you borrow? I also had friends who were part of film clubs and classes who had rental access to lights and shoulder mounts FOR FREE. Usually educational clubs and university departments are more than willing to help you make a project if it allows other students to ‘learn’ from the production experience. MILK THIS FOR ALL IT’S WORTH. There’s no need to feel guilty if everybody wins. So what about your location and cast? Do a few screen tests of your friends! Leave a few flyers in your city’s film office! Try Craigslist! Hold a bake sale!! Kick in the doors of your neighbors and ask them… no, TELL them that you will be filming in their house and that you will respect their place and offer them film credit and a slice of your aforementioned Pizza. Trust me, you can accomplish a lot with (at least) a 30-dollar budget. See?! Watch the trailer for my film! HERE. I am Chelsea Lupkin and these are my Ramblings. I am a filmmaker. I am also sometimes a photographer, a screenwriter, a concept artist and your psychologist when needed. This blog is for new filmmakers or filmmakers who just need to be reminded of good filmmaking practices. I hope that you will be both entertained and informed. Enjoy!